With April comes two wonderful celebrations: Earth Day and Easter. These two annual events offer some great ways to enjoy time with friends and family. Put these activities on your schedule for the weekend of April 20 and 21, and be sure to make any reservations you need to make now. 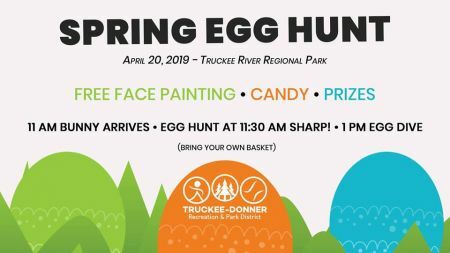 For those in the Truckee area, the Spring Egg Hunt & Dive on Saturday, April 20 is a super-fun and safe way to enjoy the coming of Easter. Created for the entire family, it will offer two ballfields littered with Easter eggs for the kiddos to find. The Easter Bunny arrives to help the kids at 11 a.m., and the egg hunt begins at 11:30 a.m. on the dot. To help the littlest of the littles, the kids will be split up into groups depending on their age. At noon is the infamous Egg Dive, in which the Community Pool is involved in the fun. This is a free event that also includes face painting, candy and lots of prizes. Be sure to bring your own Easter egg basket. 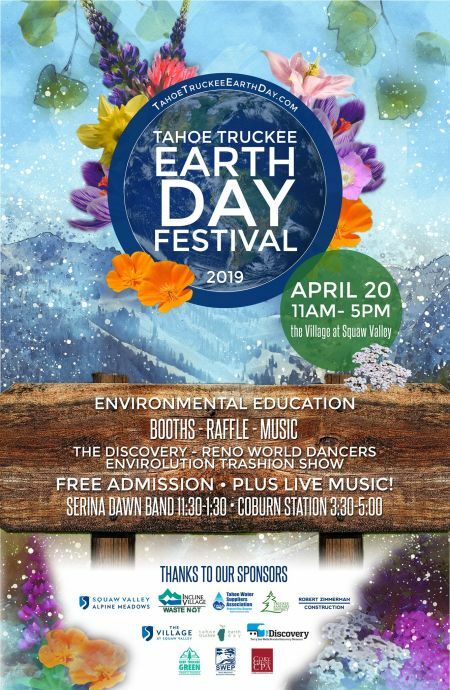 Returning for another year, the 2019 Tahoe Truckee Earth Day Festival at the Village at Squaw Valley is considered to be one of the largest celebrations in the area. The free event includes a plethora of booths that will offer information about all things earth friendly. This is a hands-on event full of interactive enjoyment. The festival is on Saturday, April 20 from 11 a.m. to 5 p.m. If you are looking for a way to enjoy the fun of hunting for Easter eggs combined with the yumminess of a delectable brunch, then you must visit the Easter Eggstravaganza and Brunch at The Lodge. The day of celebration also comes with an arrival of the Easter Bunny, carnival games and a complimentary glass of champagne or mimosa with brunch. The event is on Sunday, April 21, with the brunch from 10 a.m. to 2 p.m. and the Eggstravaganza from 11 a.m. to 1 p.m. The all-you-can-eat buffet is $48.95 for adults and $19.95 for children. The Granlibakken is hosting an Easter celebration that offers enjoyment for the whole family. Beginning with a special buffet that will be served from 7 to 11 a.m., the smorgasbord of goodness will also come with a mimosa or glass of champagne. After brunch there will be an Easter egg hunt for kids of all ages. To help ensure all of the little ones find their fair share of eggs, there will be two time slots, separated by ages 0 to 5 years and 6 years and older. There will also be other fun events such as face painting, Easter egg bag decorating and sledding. The activities are half-priced for those staying at the lodge. The fun runs on Sunday, April 21 from 7 a.m. to 1 p.m. If you are looking for an elegant way to ring in Easter, then try The Bistro at the Edgewood Tahoe. Offering a gourmet buffet as well as a special a la carte menu, the dining experience is filled with favorite recipes in both breakfast and lunch options. They are also offering an Easter egg hunt for the kids from 11 a.m. to 1 p.m on Sunday, April 21. Be sure to make reservations in advance. 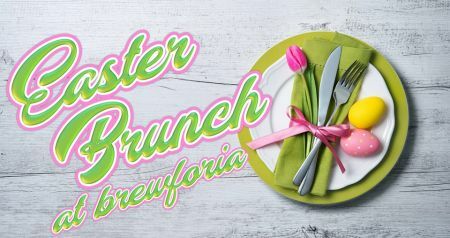 Brewforia is offering a wonderful way to celebrate Easter by combining their extensive brunch (considered by many to be the best in Tahoe) with a carving station with prime rib and honey-cured ham, an omelet station and a huge assortment of desserts. The brunch is held on Sunday, April 21 from 10 a.m. to 3 p.m. 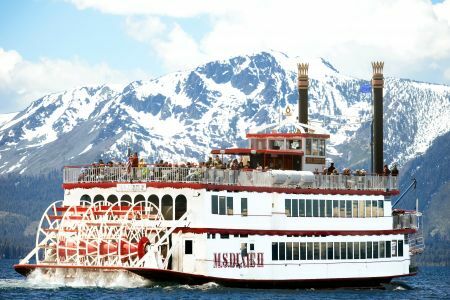 If you would like to celebrate Easter on Lake Tahoe, the M.S. Dixie II is offering exactly what you are looking for. The cruise will be combined with a delicious Easter brunch that includes both breakfast and lunch dishes. To join the cruise and enjoy their amazing brunch, tickets cost only $89 for adults and $35 for children. This event happens on Sunday, April 21 from 12 to 2 p.m.
Garwoods, a favorite lakeside restaurant for locals and visitors, is offering an incredible all-you-can-eat brunch along with a visit from the Easter Bunny and an egg hunt at 11 a.m. Brunch costs $58.90 for adults ($74.90 with champagne) and $29.90 for children ages 10 and younger. Brunch is served from 9:30 a.m. to 2:30 p.m. Enjoy the love of Mother Earth on Sunday, April 21 from 10 a.m. to 5 p.m. with South Lake Brewing Company. They are hosting a fabulous way to give back by beginning the day with a community clean-up. That will be followed by a gathering that includes free beer, vendors and information booths that support the environment. This is a free event. Bar of America in Truckee is also throwing in its hat for an offering of Easter fun. They will be providing brunch and dinner specials that will make your tummy very happy. Be sure to call to make a reservation. This event runs from 10:30 a.m. to 10 p.m. Please be sure to visit our Daytime and Nightlife event sections to learn about all the other fun events to enhance your time in Lake Tahoe.